Take as much time as you need for your in-depth exploration of Germany. This tour is a perfect balance of included private guided sightseeing with plenty of free time to spend on your own. Discover the main attractions of Munich, Stuttgart, Heidelberg, Cologne, and Berlin. Best central hotels and 1st class connections included. Today after breakfast and check-out, you have the day at leisure to continue exploring the capital of Bavaria on your own. Alternatively, you can choose one of our carefully planned optional tours. In the afternoon, you head for the train station for your train to Stuttgart. In about 2,5 hours you arrive in Stuttgart, the capital of southwest Germany’s state called Baden-Württemberg, meet your driver and head for your centrally-located hotel. After check-in, the rest of the evening is free for you to start exploring the city on your own. ➤ Firebird recommends: Discover two of the most famous automobile museums in the works, by visiting Porsche Museum tracing Porsche's history, and Mercedes-Benz Museum which cover the history of the brand. Following breakfast, you meet your private guide and embark an entertaining and informative city walk through the historic heart of Stuttgart. In 3 hours your guide shows you all the main attractions such as the Old Castle, Neues Schloss (New Castle) and Schlossplatz, Rathaus or town hall, the ancient gathering place Marktplatz and many others. This trip through time covers the founding of the city in 950 all the way to the present day. After the tour, you return to the hotel and have the rest of the day at leisure. ➤ Firebird recommends: Explore modern architecture by visiting Weissenhof Estate which includes buildings designed by 17 architects from more than 5 European countries. Two of the buildings projected by Le Corbusier were inscribed as UNESCO World Heritage Sites as the part of his "Outstanding Contribution to the Modern Movement". Today after breakfast and check-out, you have the day at leisure to continue exploring Stuttgart on your own. Alternatively, you can choose one of our carefully planned optional tours. In the afternoon, your private driver transfers you to the train station for your train to Mannheim, located within just 30-minutes away from Heidelberg. Your private driver meets you at the train station and transfers you to your hotel in Heidelberg. 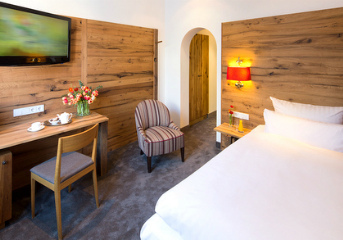 Upon arrival to Heidelberg, you check in and have a good rest. Following breakfast at your hotel, meet your private guide in the lobby and enjoy a wonderful 4-hour walking old town or Altstadt tour and explore the university town of Heidelberg, with its historic and romantic appeal. The old town of Heidelberg has a typical atmosphere of the German old quarters: squares where the locals socialize, cobblestone streets with bar terraces, and of course the marketplace, or the Marktplatz. After the pleasant walk through the Old Town, you board a historic funicular to reach the top of the hill where you find Schloss Heidelberg, the Heidelberg Castle, which is considered to be one of the most important ruins in Germany. These extraordinary Renaissance ruins that inspired Germany’s Romantics used to be the former seat of Heidelberg’s Prince-Electors. In the Castle you also have a chance to visit the German Apothecary Museum and see the Great Tun, the biggest wine barrel in the world, that was able to hold 221,726 liters (or 58,578 gallons) of wine. ➤ Firebird recommends: Follow the footsteps of the famous German thinkers and go for a guided or nonguided walk and hike along the Philosophenweg (Philosophers' Walk). After breakfast and check-out you are met by your private driver and transferred to Mannheim train station for departure to Cologne. In about 1,5 hours you arrive in Cologne, the largest city of the most populous German federal state called North Rhine-Westphalia. Upon arrival, you meet your driver and head for your centrally-located hotel. Following breakfast, you meet your private guide and together you discover the must-see sights of Cologne. Your exploration starts with the outstanding gothic Cathedral of Cologne included in UNESCO World Heritage list. Kölner Dom, as it is called in German, with its 160 meters (525 ft) high, proudly dominates the skyline of the city. You explore the cathedral's interiors, its treasure chamber and, if you want, climb the 533 steps to the top of the tower to catch the most comprehensive view over the city and the Rhine. After you stroll along the streets of the old center, meet 'Tünnes und Schäl' figures, representing the original locals, see the old charming houses, historic town hall, and tower. After the tour, you have the afternoon at leisure. ➤ Firebird recommends: Take a 2-hour panoramic cruise and enjoy the scenic views on Rhine promenade and the cathedral from a different angle. Today after breakfast and check-out, you have the day at leisure to continue exploring Cologne on your own. Alternatively, you can choose one of our carefully planned optional tours. In the afternoon, your private driver transfers you to the train station for your train to Berlin, and in about 4,5 hours you arrive in the capital of Germany. Upon arrival, you are met by your private driver, who transfers you to your hotel for the check-in. ➤ Firebird recommends: Use Cologne cable car for a scenic crossing of the river Rhine. During the tour you discover Checkpoint Charlie, the site where the Stasi and CIA spied on each other. You hear the amazing stories surrounding this Cold War crossing point. When passing the Berlin Wall you learn the secret history of why it went up and how Berlin was divided overnight. You also visit Berlin's spectacular new government quarter and get a feel for the contemporary face of the city and its development since the fall of the Wall. You have the afternoon and evening at leisure and can continue exploring Berlin on your own, or join one of our optional tours. Today after breakfast you have the day at leisure to continue exploring the capital of Germany on your own. Alternatively, you can choose one of our carefully planned optional tours. ➤ Firebird recommends: Take a cruise on the River Spree, that winds through the centre of Berlin, and me amazed by the completely different perspective on the city. Seeing the Berlin Wall and the Brandenburg Gate in Berlin.